The incident took place in the town of Almondbury near Huddersfield. A TEENAGER HAS been charged with assault over his alleged involvement in an attack on a 15 year-old Syrian refugee in the UK. The incident took place in the town of Almondbury on 25 October, and was reported to police the following day. However, footage of the incident went viral on social media yesterday, when police confirmed that an investigation was already underway. In another statement this morning, West Yorkshire Police confirmed that following an investigation, a 16 year-old boy had been arrested and charged with assault. “Regarding the assault on a 15-year-old youth in Almondbury, which featured in a video posted on social media yesterday and has been widely reported in the media, a 16-year-old youth has been interviewed and reported for summons, for an offence of assault,” it said. “He will appear at Youth Court in due course. “The incident occurred on 25 October this year and has been subject to thorough investigation since it was reported to us the day after. Police advised members of the public not to share the video on websites or social media sites, as doing so could prejudice future criminal proceedings. They added that a previous unconnected incident on 7 October, in which the victim suffered a wrist injury, was also investigated at the time. 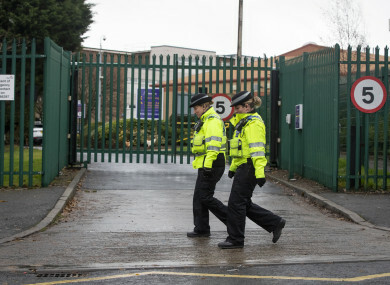 Three youths were interviewed in relation to that incident, but there was no further police action and the matter was referred to the school where the incident took place. Comments have been closed as an individual has been charged in relation to the incident. Email “Teen charged with assault after video of attack on 15-year old Syrian refugee at UK school goes viral”. Feedback on “Teen charged with assault after video of attack on 15-year old Syrian refugee at UK school goes viral”.